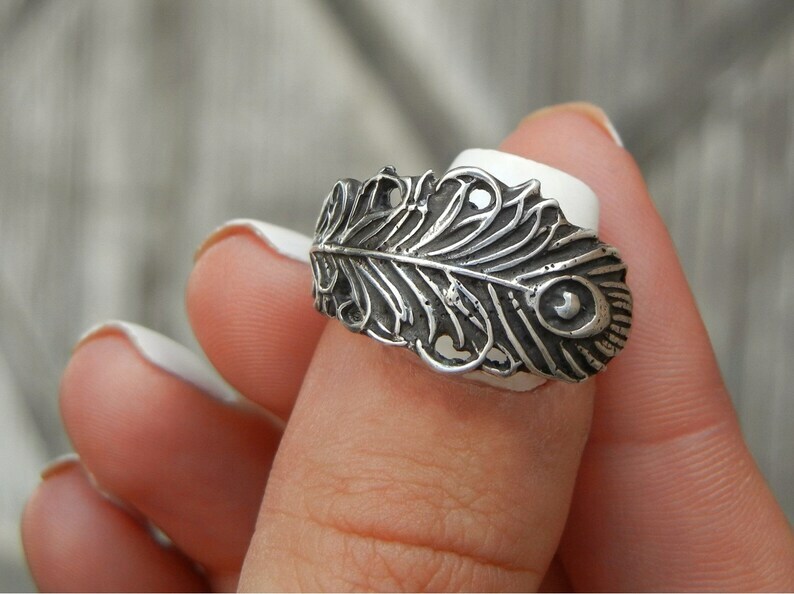 Unique Peacock Feather Silver Ring: Characteristically curled at the tips this peacock feather ring is hand made from sterling silver, gently curving to hug your finger, oxidized for brilliant contrast to highlight the detail. Light sporadic pitting give this unique feather ring a vintage allure and blends seamlessly with the charming rustic back of the band. Peacock feathers are believed to bring good fortune. Is this your lucky ring? Available in whole and half sizes 4-15. 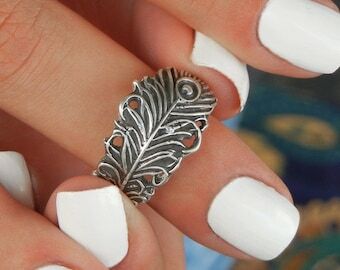 >>> This listing is for ONE Boho Peacock Feather Ring. 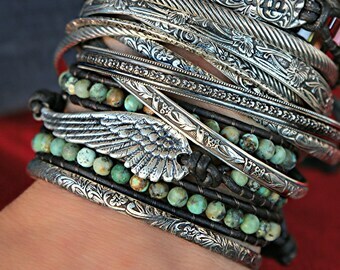 <<< Other jewelry is shown as examples of our work, offered for layering and stacking inspiration, and can be purchased in our shop. See links below. I have bought several pieces from Licky now and I will say this...I am a jewelry collector and am extremely picky about handmade pieces. 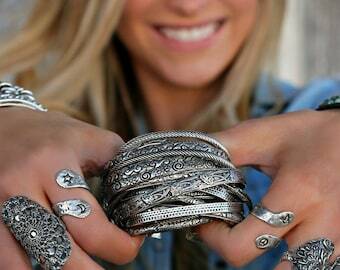 Every thing I have received has been very well made and absolutely stunning. I cannot recommend this shop enough!